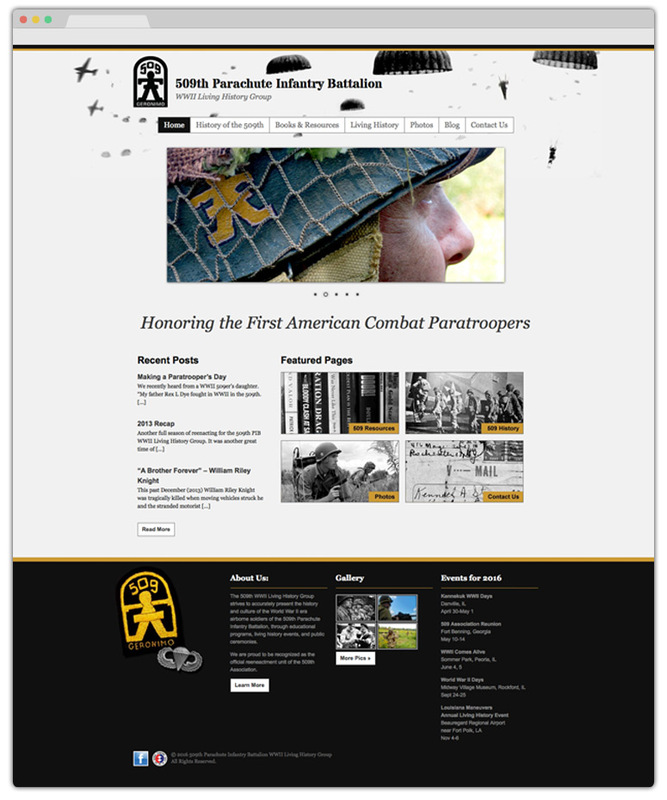 A WordPress theme I created from scratch for a WWII Living History Group. 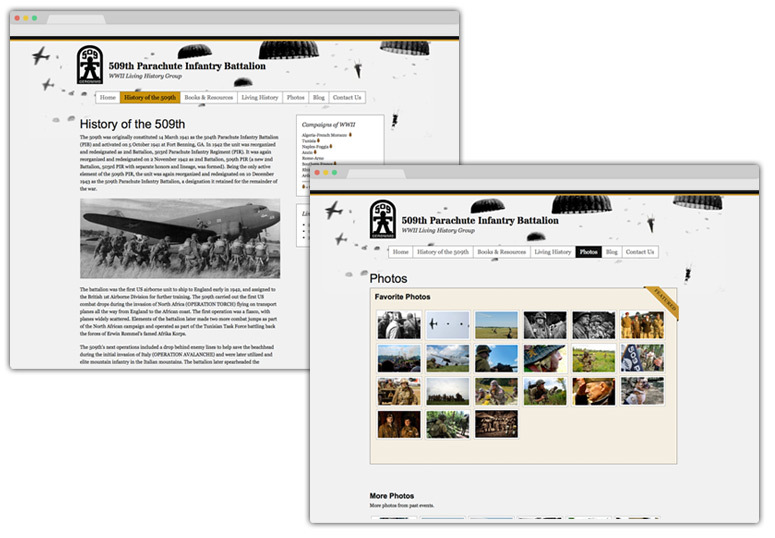 One goal in creating this site was to connect the past with the present. To do that, I incorporated black and white color schemes along with colorized, modern images.